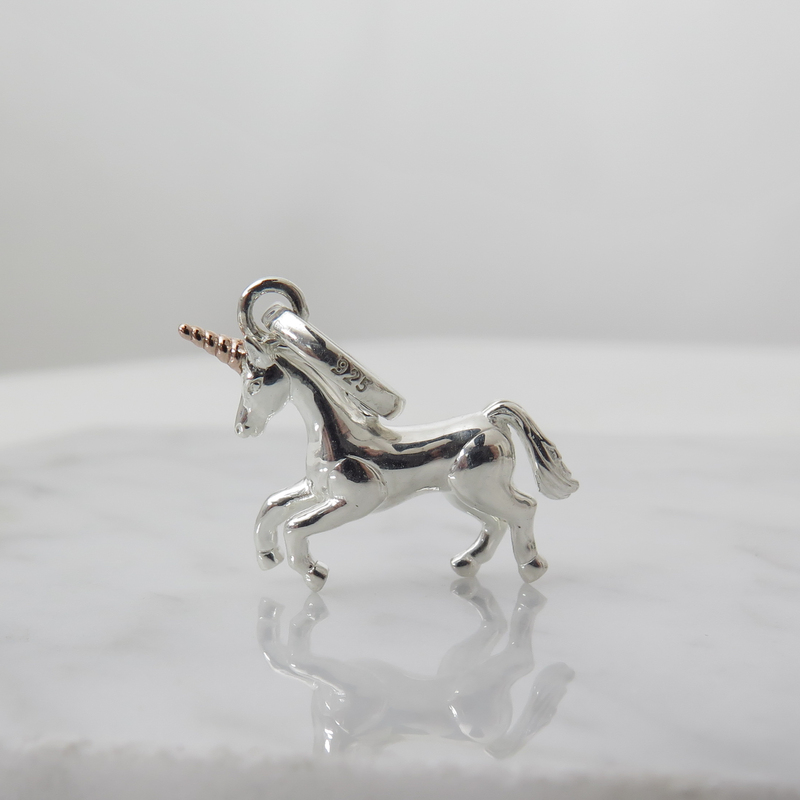 The Unicorn is a rare and magical creature with a legendary history dating as far back as ancient Greece. 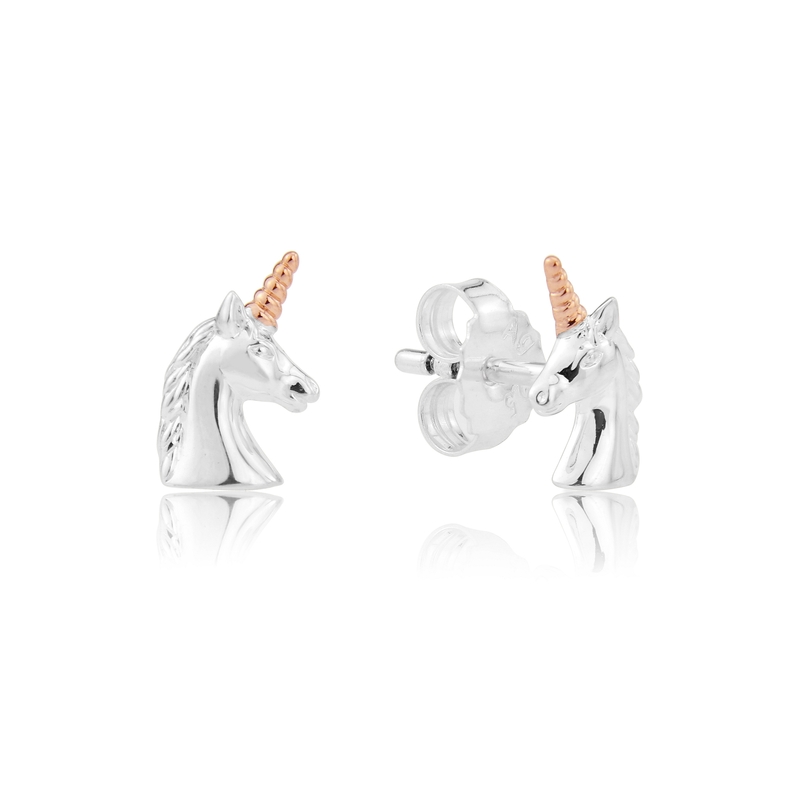 It is thought of as a symbol of purity and grace and has all the beauty of the horse with an extra touch of magic. 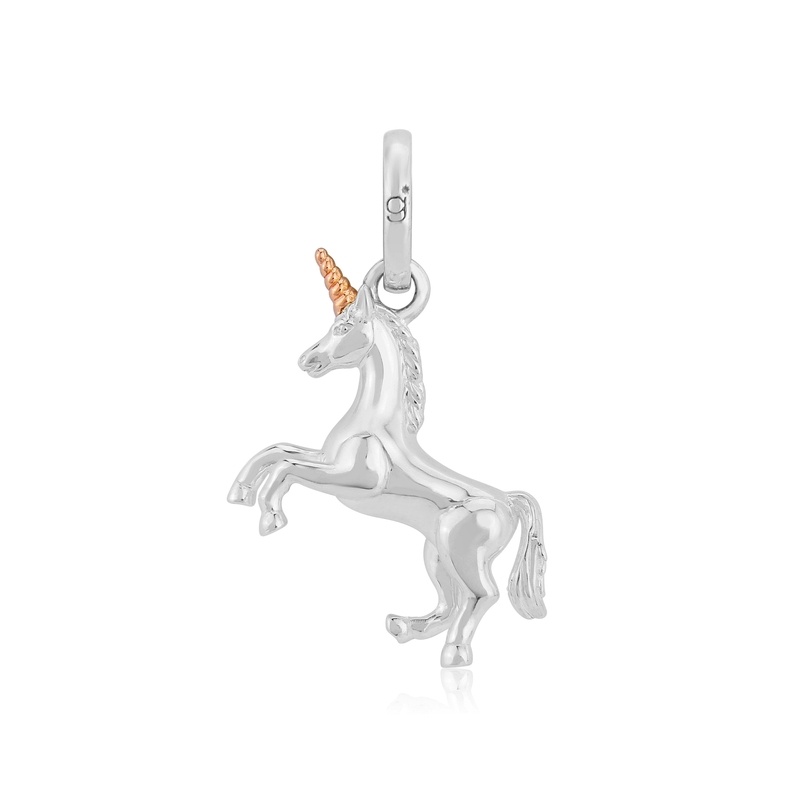 Our Unicorn charm is created in solid silver with a layer of rose gold covering its horn. Sterling silver and rose gold vermeil. To be worn on a necklace or as a charm on any piece of charm jewellery.